The flame which kindled the fire bringing the regiment into existence dates back to the year 1841 when a Squadron of Cavalry was raised in Adelaide. During 1844 a small reorganisation was effected brining forth the Adelaide Mounted Rifle Corps, which, by 1867 was composed of four troops, vis. No. 1 Molong Troop; No. 2 Strathalbyn Troop; No. 3 Adelaide Troop and No. 4 Reedbeds Troop. In 1899 the Adelaide Mounted Rifle Corps had become the South Australian Mounted Rifles and No 3 Adelaide Troop became No. 1 Squadron, together with portion of troops at Yankalilla, Inman Valley and Victor Harbor. By 1901 the No. 1 troop at Adelaide became the active portion of the mounted rifles the remainder being styled the reserves. In the Federal reorganisation of 1903 No. 1 Squadron (active) and No. 2, 4 and 5 Squadrons (reserve) were formed into a regiment styled 16th Australian Light Horse Regiment (South Australian Mounted Rifles) with four Squadrons, also an attached squadron designated No. 5 Squadron. At the reorganisation of 1912 Nos. 2, 3 and, 4 Squadrons of the 16th, A.L.H. Regiment, together with No. 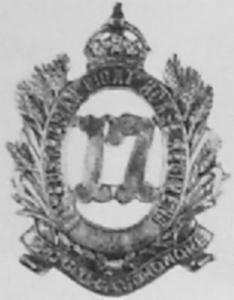 4 Squadron of the 17th. A.L.H. Regiment became the 22nd Light Horse (SAMR) whilst No. 1 Squadron of the 16th formed the nucleus of the 23rd Light Horse (q.v.). The other changes which followed this regiment did not occur until 1918 when the 22nd. Light horse continued as the 3rd Light Horse (South Australian Mounted Rifles) and as such it continued until the Divisional re-organisation of 1921 when part of the 3rd Light Horse Regiment and part of the 30th Light Horse Regiment became designated 3rd Light Horse Regiment (South Australian Mounted Rifles). The Roll of Honour contains the names of all the men known to have served at one time with the 17th/23rd/18th Australian Light Horse and gave their lives in service of Australia during the Great War. Clement Riggs ADDIS, 3rd Field Artillery Battery, Died of Wounds, 21 August 1916. Edward Lawrence ANGOVE, 10th Infantry Battalion, Killed in Action, 23 August 1918. Eric Chalcroft BELL, 3rd Light Horse Regiment, Killed in Action, 19 May 1915. Stanley Ernest BOWYER, 3rd Light Horse Regiment, Killed in Action, 9 January 1917. Halcombe Ferrier BROCK, 3rd Light Horse Regiment, Killed in Action, 2 June 1915. Wilfred Douglas CHAPMAN, 32nd Infantry Battalion, Killed in Action, 16 February 1917. Gilbert Walker DAVIS, 10th Infantry Battalion, Killed in Action, 8 October 1917. Arthur Roy EARL, 3rd Light Horse Machine Gun Squadron, Died of Accident, 26 June 1917. Frederick Eugene HAWKE, 9th Light Horse Regiment, Died of Disease, 4 September 1916. Waldemar Robert HAWKES, 2nd Machine Gun Battalion, Killed in Action, 29 October 1917. Ellias JUDELL, 9th Light Horse Regiment, Killed in Action, 9 August 1915. Gordon Brice LILLECRAPP, 43rd Infantry Battalion, Killed in Action, 24 April 1918. Leonard MAHER, 5th Pioneer Battalion, Killed in Action, 28 September 1916. Norman Harold McBRIDE, 3rd Light Horse Regiment, Killed in Action, 22 December 1917. Douglas Elliott SCOTT, 3rd Light Horse Regiment, Died of Wounds, 20 May 1915 and subsequently buried at sea. 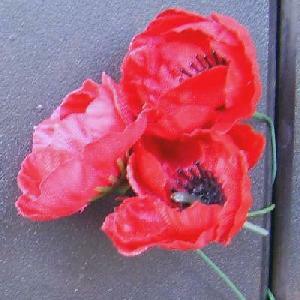 The following Nominal Roll contains the names of all the men known to have served at one time with the 17th/23rd/18th Australian Light Horse who undertook service for Australia during the Great War. Each entry details the full name of the man, his service number and rank upon enlistment, and finally the unit in which the man was allotted prior to embarkation. 2928 Private George Ernest ACKLAND, 3rd Light Horse Regiment. 453 Sergeant Arthur Russell ADAMS, 11th Light Horse Regiment. 4711 Driver Clement Riggs ADDIS, 3rd Field Artillery Brigade. Second Lieutenant Edward Lawrence ANGOVE, 10th Infantry Battalion. 966 Private Thomas Charles ATKINS, 11th Light Horse Regiment. Lieutenant Sydney Hamilton AYLIFFE, 9th Light Horse Regiment. 739 Private Eric Chalcroft BELL, 3rd Light Horse Regiment. 56048 Private Robert John BERRY, 3rd General Service Reinforcements, South Australia. Lieutenant Clive BLEECHMORE, 9th Light Horse Regiment. 1720 Private Ernest James Watson BOLTON, Imperial Camel Corps. 113 Lance Corporal Stanley Ernest BOWYER, 3rd Light Horse Regiment. 4242 Lance Sergeant Charles Murray BOXALL, 32nd Infantry Battalion. Lieutenant Halcombe Ferrier BROCK, 3rd Light Horse Regiment. 3106 Acting Sergeant Thomas Clarke CALLOW, 3rd Light Horse Regiment. 56176 Private Reginald Alexander CHANNING, 4th General Service Reinforcements, South Australia. 3785 Private Wilfred Douglas CHAPMAN, 32nd Infantry Battalion. 386 Private James COPELAND, 4th Light Horse Regiment. 1426 Private Alfred Ernest CROFT, 11th Light Horse Regiment. 5351 Private Gilbert Walker DAVIS, 10th Infantry Battalion. Second Lieutenant Allan Ernest DEAN, 9th Light Horse Regiment. 2931 Private Arthur Roy EARL, 9th Light Horse Regiment. 3302 Private Herbert Spencer ELLIOTT, 10th Infantry Battalion. 4488 Private Hermann Carl EY, 32nd Infantry Battalion. 62047 Acting Sergeant Sydney Eric FERRIS, 4th General Service Reinforcements, South Australia. Lieutenant Roy Stirling FOTHERINGHAM, 11th Light Horse Regiment. 1450 Private Andrew FOURA, 3rd Light Horse Regiment. Major David FULTON, 3rd Light Horse Regiment. 3467 Acting Corporal James Lionel GILLIES, 8th Light Horse Regiment. 508 Private George Aldborough HALSEY , 8th Machine Gun Company. 3286 Acting Sergeant Guy McGeorge HARRIS, 3rd Light Horse Regiment. 1547 Acting Corporal Frederick Eugene HAWKE, 9th Light Horse Regiment. 550 Lance Corporal Waldemar Robert HAWKES, 9th Light Horse Regiment. 35228 Gunner Clement Vincent HENNESSEY, 1st Division Signals Company. Lieutenant Sydney Arthur HUNN, 32nd Infantry Battalion. 19613 Private Ralph Reuben HURST, Australian Army Medical Corps. Major William John Reid HUTCHISON, Sea Transport Svc. 1884 Private Stanley INWOOD, 5th Pioneer Battalion. Lieutenant Edmund Rees JAMES, 3rd Light Horse Regiment. 57166 Private Leslie Oscar JONSSON, 3rd General Service Reinforcements, South Australia. 156 Private David JUDD, 3rd Light Horse Regiment. 213 Squadron Quartermaster Sergeant Ellias JUDELL, 9th Light Horse Regiment. 145 Private Wilfred Charles KEANE, 9th Light Horse Regiment. 290 Private Hugh Craine KELLY, 9th Light Horse Regiment. Lieutenant William Charles KELLY, 3rd Light Horse Regiment. 530 Private Charles Leonard KING, 11th Light Horse Regiment. Second Lieutenant William Percival Allan LAPTHORNE, 5th General Service Reinforcements, South Australia. 678 Private roland Alexander LAVER, 8th Machine Gun Company. 19120 Sapper Harold Austin LAWRENCE, 2nd Division Signals Company. Second Lieutenant Lancelot Ashley LEWIS, 3rd Light Horse Regiment. 1784 Private Gordon Brice LILLECRAPP, 43rd Infantry Battalion. 393 Private Jack Stewart LIPSCOMB, 11th Light Horse Regiment. Lieutenant Ernest Marshall LUXMOORE, 9th Light Horse Regiment. 1900 Private Leonard MAHER, 5th Pioneer Battalion. 17513 Corporal Paul MAKEPEACE, 1st Division Cavalry Signals. 894 Private James Cornelius MALONE, 11th Light Horse Regiment. 3121 Private Clarence William MATTERS, 9th Light Horse Regiment. 3732 Private Melville Eric Kyffin MAUGHAN, 3rd Light Horse Regiment. 52908 Private Maurice Kingsley MAY., 2nd General Service Reinforcements, South Australia. Second Lieutenant Norman Harold McBRIDE, 3rd Light Horse Regiment. 1035 Private Donald Spencer McCORD, 9th Light Horse Regiment. 377 Private James Taylor McKENZIE, 8th Machine Gun Company. 3346 Sergeant Cyril Hunter MILLER, 9th Light Horse Regiment. 165 Private Eric Giles MILLER, 3rd Light Horse Regiment. 57511 Private Samuel Henry MILLS, 4th General Service Reinforcements, South Australia. 73 Sergeant Joseph Hubert MITCHELL, 3rd Light Horse Regiment. 4170 Private Francis Michael MOLONEY, 27th Infantry Battalion. Lieutenant Harry Formby MOORE, 32nd Infantry Battalion. 3126 Private Ralph MORPHETT, 3rd Light Horse Regiment. 167 Private George Howard MOSS, 3rd Light Horse Regiment. 2471 Private Charles Allan Ralph MURRAY, 3rd Light Horse Regiment. Vet Captain Frederick MURRAY-JONES, 3rd Light Horse Regiment. 530 Private Eric NOBLETT, 3rd Light Horse Regiment. Second Lieutenant George Harvey NUNN, 3rd Light Horse Regiment. Lieutenant Herbert Russell OBORN, 3rd Light Horse Regiment. 2843 Private William Henry OKE, 1st Remounts. 174 Private Norman Richard OWEN, 3rd Light Horse Regiment. Second Lieutenant Edward Theodore PASCOE, 9th Light Horse Regiment. 564 Private Fred Adrean PATTERSON, 11th Light Horse Regiment. Lieutenant Wilfred Allan PHILLIS, 9th Light Horse Regiment. 2008 Private Cecil Preston PITCHERS, 9th Light Horse Regiment. 55875 Private Clarence James PITT, 2nd General Service Reinforcements, South Australia. Dr Major Henry Arthur POWELL, 1st Australian Stationery Hospital. 53 Private Leslie James QUINN, 3rd Light Horse Regiment. Lieutenant Benjamin Brookman RAGLESS, 11th Light Horse Regiment. Second Lieutenant Reginald Valentine REID, 3rd Light Horse Regiment. 20565 Private Frederick Thomas ROUTLEY , Australian Army Medical Corps. 191 Lance Corporal Morton Reginald SANDLAND, 3rd Light Horse Regiment. 68 Sergeant Douglas Elliott SCOTT, 3rd Light Horse Regiment. Captain Thomas Anglesey SIEKMANN, 11th Light Horse Regiment. Lieutenant Malcolm STEVENSON, 3rd Light Horse Regiment. 32537 Driver Hilbert Thornton Percival THOMAS, 23rd Field Artillery Brigade. 52905 Private Ronald Campbell THOMSON, 2nd General Service Reinforcements, South Australia. 20572 Private Gordon John TORR, Australian Army Medical Corps. Lieutenant Horace George VINEY, 3rd Light Horse Regiment. 981 Private Leonard Octavius N. WATERS, 11th Light Horse Regiment. 6428 Sapper Charles Edwin WEBB, 3rd Field Company Engineers. Lieutenant Alan Koeppen WENDT, 3rd Light Horse Regiment. Second Lieutenant Keith WILKINSON, 50th Infantry Battalion. Lieutenant Ross WILKINSON, 9th Light Horse Regiment. Lieutenant Charles Angas WILLCOX, 50th Infantry Battalion. Second Lieutenant Edgar George Eric WILLIS, Draft Officers. Lieutenant Cecil Lucius Stangman, 11 July 1900. 1st Jamestown - Spalding - Wallaroo Squadron. 3rd Port Pirie - Port Germain - Warner Town Squadron. Lieutenant Frank Milton Rowell, Honorary Captain, Boer War Veteran, 11 March 1899. Honorary Lieutenant Francis Charles Siekmann, Boer War Veteran, 5 March 1904. Captain Cecil Lucius Stangman, 1 April 1904. 1st Jamestown - Spalding Squadron. Captain Dashwood Charles Connor, 18 June 1904. Lieutenant Stanley Reginald Jones, 6 February 1904. Second Lieutenant Sydney Mackenzie Valentine, 9 July 1904. Captain Thomas Hancock, 1 January 1904. Lieutenant Sydney Herbert Clode, 14 December 1903. Lieutenant Arthur Clement Moody, 6 February 1904. 3rd Port Pirie - Port Germein Squadron. Captain Albert Miell, Boer War Veteran, 18 June 1904. Lieutenant William Charles Mulligan, 20 February 1904. Second Lieutenant Frank Howourth Steadman Simpson, 16 April 1904. Second Lieutenant James Edward Barrett, 16 April 1904. Second Lieutenant Austral Percy Cobb, 23 July 1904. 4th Angaston - Gawler - Williamstown Squadron.